Modern and rustic Family Reunion invitations for your annual or one-time gatherings to bring the whole family together. These invitations are custom printed with your reunion celebration details on the quality invitation card stock of your choice. 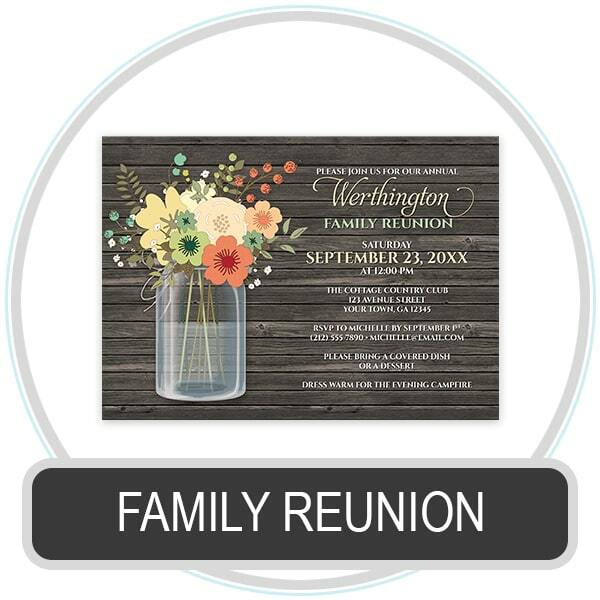 The family reunion invitations are available in a variety of designs and seasonal themes, for Autumn / Fall, Spring, Summer, and Winter.